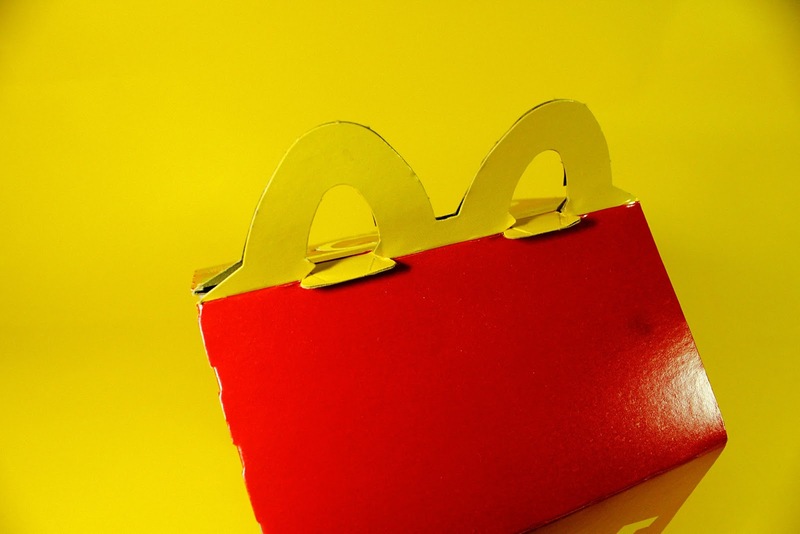 Gelo Yellow: WHAT'S IN MY HAPPY MEAL BOX? 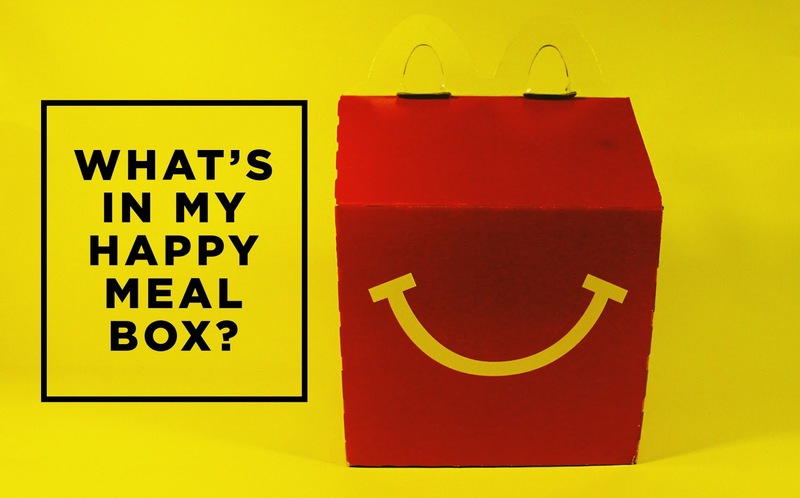 WHAT'S IN MY HAPPY MEAL BOX? Welcome to the first edition of "What's In My Happy Meal Box?"! While I try my best to not run out of blog ideas, here's a list of Happy Meal toys that I acquired for the month of May. 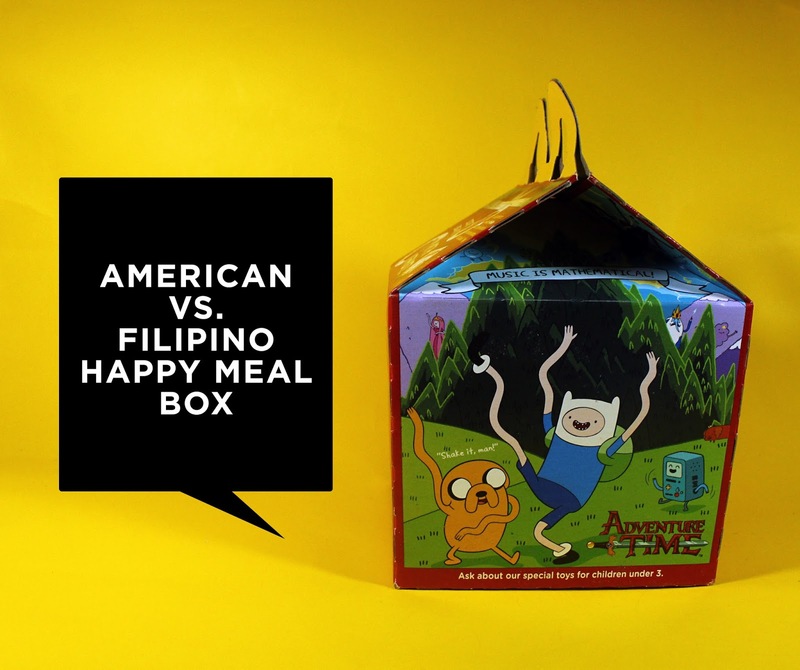 Before I show you some of my stuff, I noticed a difference between the Happy Meal box in the U.S. and the one here. The box in the U.S. is a lot easier to close because you just have to push the side in and then lock it with the flaps. Everytime I buy a Happy Meal here, the crew are always having a hard time closing the box because the side part is really complicated to close, especially during rush hours. Most of the time they stop caring about the box and breaks a bit of the side just to close it. I really hate it when they ruin the box so most of the time I just ask them to give to me flattened so they don't have to open it anymore. Just push it, lock it, bring it! Oh wait that can be a jingle for a Happy Meal commercial! Haha! 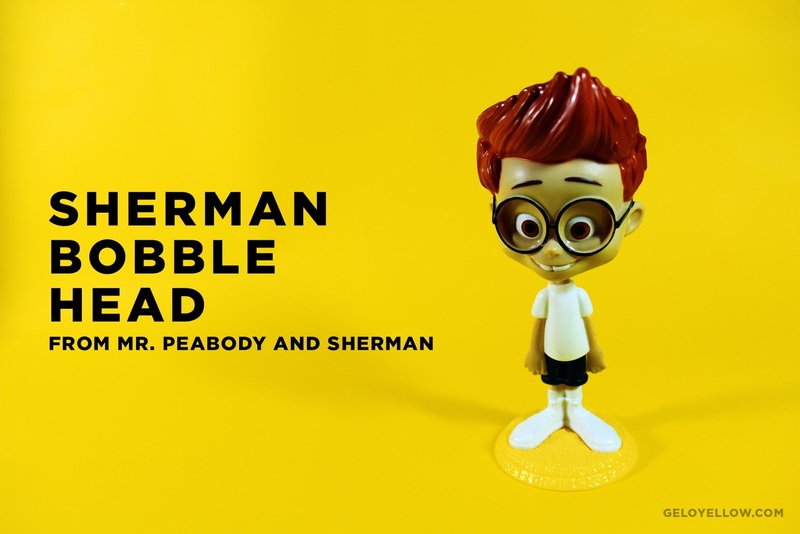 The first in the bunch is this Sherman bobblehead from Mr. Peabody and Sherman. (forgive the weird color of this photo) The whole world got Mr. Peabody & Sherman toys at McDonald's but there's always an exclusive bunch in each region or country. This bobblehead toy is exclusive to the U.S. I also have a Mr. Peabody one but it's still with my aunt. This is a really good display on any desk! I really like it. 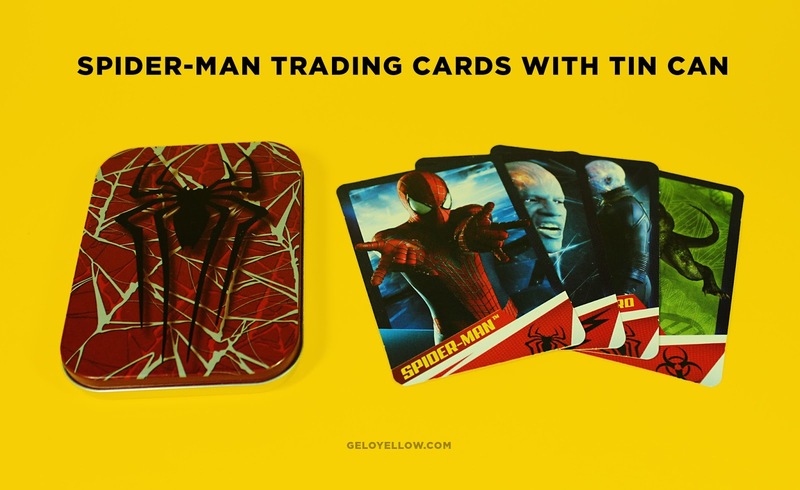 With the premiere of The Amazing Spider-man 2 last month, they had a tie-in with McDonald's Happy Meal and released a set of 16 toys! There 8 toys for boys and 8 toys for girls. Some European countries even got a Spidey watch and an Emma Stone watch! I really want those! It's a big bummer because these toys weren't released in Asia. Luckily, the rest of my family lives in the U.S. so I asked my aunt to get me 8 toys. I only have 3 toys with me but I'll get the rest when my mom comes home from the U.S. this July. 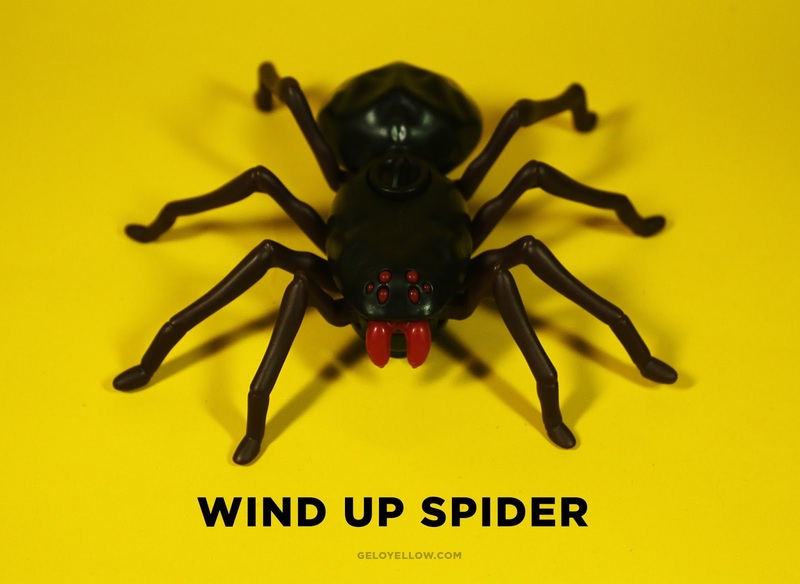 The first one is this wind up spider toy. I find it really cool because it actually crawls and not just some static figure. My mom and sister even screamed at the sight of it because they thought it was real. Haha! Another one from the set is a light up toy car. 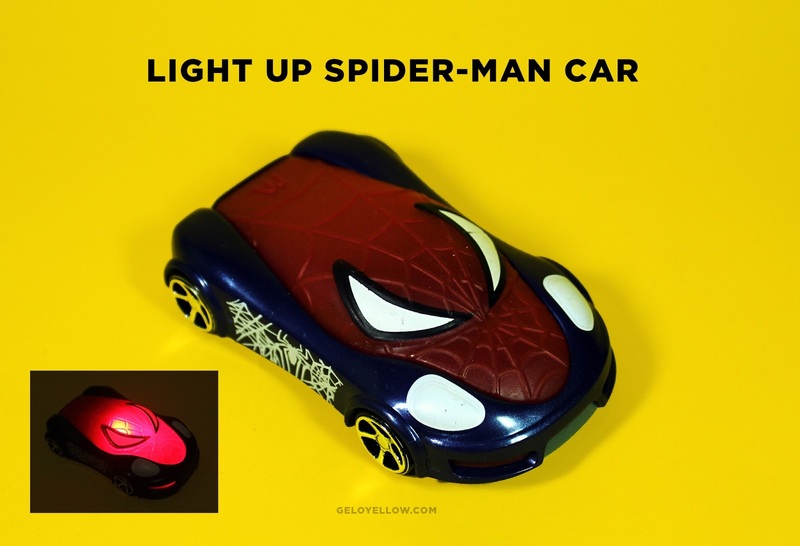 It's just a normal toy car and it doesn't have a pull back feature but what's cool is that it lights up when you turn on a switch. The two toys above are kind of weird because they aren't in the movie. They're just custom Spidey stuff but whatever because I like 'em anyway. This trading card set for me is one of the coolest in the bunch. There are a total of back-to-back trading cards that come in a tin can! I'm a sucker for things like these. My aunt accidentally bought one of the girls toys for Spidey. There's also a journal for boys but it's not this one. So yeah this is how mostly the girls' toys look. I kept this one for myself instead of giving it to my sister. Haha! 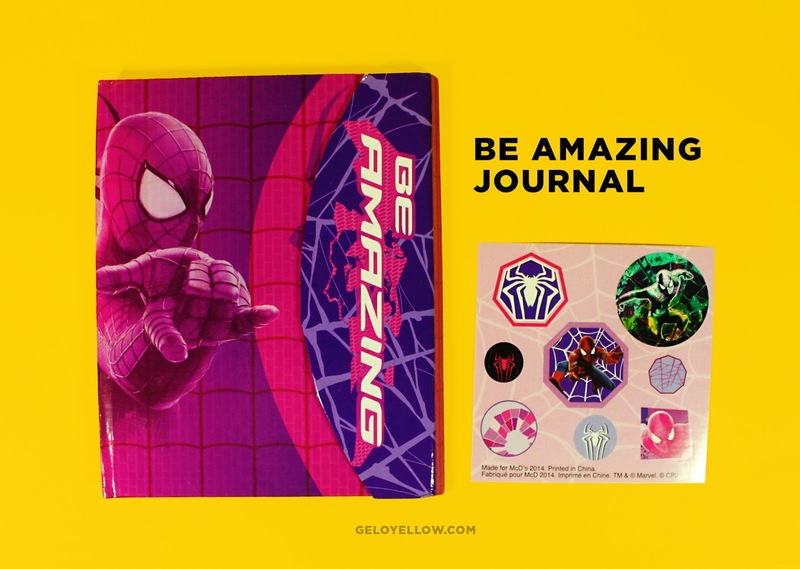 I really wish it had Emma Stone in front instead of the journal instead of Spider-man. I can only imagine. I ALSO GOT ADVENTURE TIME HAPPY MEAL TOYS HOLY FREAKING SHIZZ. 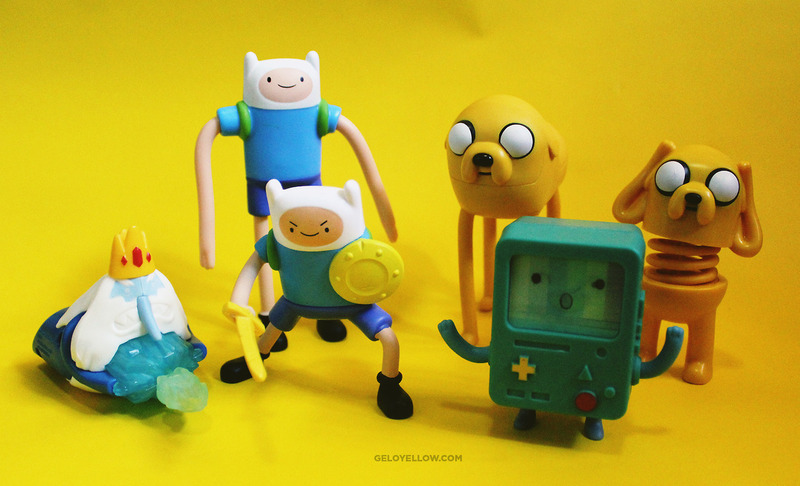 These were exclusive to the U.S. but I hope they'll sell these here so I can have an Adventure Time army. So that's it for my first "What's In My Happy Meal Box?" post! I'll leave you with my The Amazing Spider-man 2 Haul video! Ciao!